Public folder is the feature introduced by Microsoft. As the name implies, it is designed to share the information within an organization or among different groups very effectively. Administrator has the capability to set the Access Privilegesto provide the accessibility to the selected users or to everyone in the organization. Public folders can contain mails, calendars, journals, contacts, and notes. Public folders are available in the outlook clients such as, Outlook on web for Exchange 2016, Outlook 2007 and later versions and outlook for mac. If you have set the public folder as mail enabled, and the same public folder you have added as a member of a distribution group,then the emails sent to the group also added to public folders. How to create Public Folder? Go to Exchange Admin Center. Click on Public folders. Before creating a public folder make sure that, you have public folder mailbox. If you don’t have, then create a public folder mailbox. Click on Public folder mailboxes, then add a new mailbox by clicking on add (+). A new window will be displayed to enter Public folder name. Enter the name and save it. Once the Public folder mailbox is ready, it is the time to create Public folder. 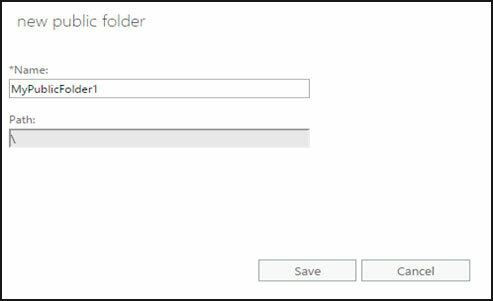 Under Public folders click on add (+)to create a new Public folder. In the new window enter the name of the new public folder and save it. Now you can see the public folder which you have created. You can also add subfolders under this newly created folder by clicking on add (+). 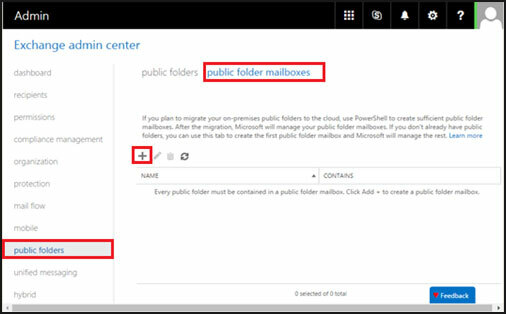 How to make a Public folder mail-enabled or mail disabled in Exchange Admin Center(EAC)? In Exchange Admin Center, click on public folders. It will display the public folders which are already created in the list view. 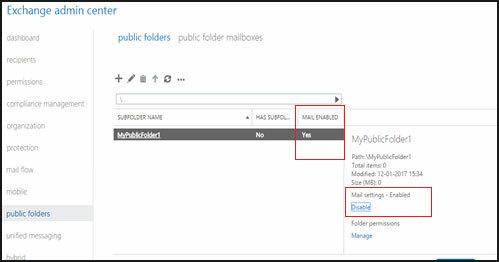 Select the public folder which you want to make as mail-enabled or disabled. Go to Mail Setting, in detail pane select enable or disable. click on yes for the confirmation. 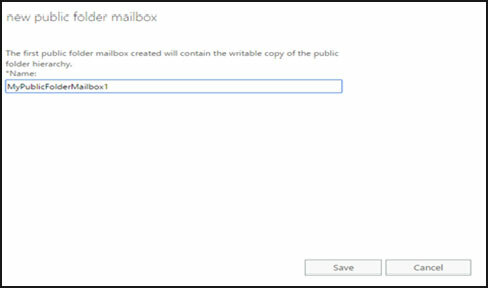 Open Outlook using an account that’s been granted Owner permissions on the email-enabled public folder, you want anonymous users to send mail to. Right click on the public folder, click on properties, select the permission tab. Select the anonymous account, under write click on create item. Then OK.